Waking on land, with bodies all around, Alastor’s lone goal becomes returning to the ocean and the only life he’s ever known. A plan that is quickly diverted when Hades, Lord of the Underworld, appears with a twisted agenda all his own. Cast to a land far from the lapping comforts of home, Alastor’s sole companion is a troubled misfit named Sterling that soon comes to depend on him. Trained to be a hero, how far is Alastor willing to go to return to the woman he loves? And can he live with the sacrifices he’s forced to make? 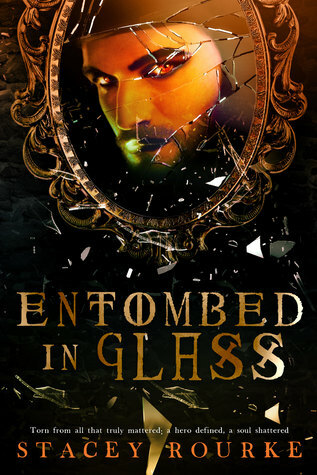 Entombed in Glass is the second book in the Unfortunate Soul Chronicles, and while you could read it as a standalone, it ties in with the first book, so I'd suggest reading that one first. Entombed in Glass follows Alastor, a soldier from book one, as he discovers the complete and utter destruction of his people, save for one. The only other person left alive is a bit strange, but he's the one person who might be able to help Alastor return to his home of Atlantica. Unfortunately, Hades (yes, that Hades) has different plans for Alastor. Sent on a journey with Sterling, his misfit companion, Alastor must learn what it really means to be a hero if he's ever going to make it back home again. I thoroughly enjoyed this book. It was fun at times, dark and emotional at other times, and it tied in with a variety of different fairy tales to make one very unique story. 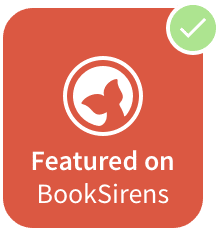 While book one mostly focuses on retelling The Little Mermaid from Ursula's POV, Entombed in Glass combines Alice in Wonderland, Peter Pan, and Snow White. I really liked that. Character wise, I found Sterling to be an endearing character I grew attached to. He's basically the Mad Hatter, and you can't help but love how loyal and dedicated he is to pretty much everything. Alastor is a character you can get behind, rooting for him while he travels on his mission. He's also pretty loyal and dedicated. I think those two were my favorites. Of course you have characters you'll dislike as well. I won't spoil anything and tell you who I didn't like, but there were a few. Plot-wise, I felt the book was paced quite nicely. It didn't feel rushed, nor was it slow or bogged down by unnecessary scenes or dialogue. I found myself getting through it pretty quickly. I was eager and curious to see where it would go and how it would end. Overall, I quite liked Entombed in Glass. It's a must-read, I think, for fans of fairytale retellings. Although it's not a straight-up retelling of any one specific tale, it combines a few to make it exciting and different. Definitely check out the Unfortunate Soul Chronicles. I give Entombed in Glass 4 stars. I also read Rise of the Sea Witch for this tour. Since I hadn't read it yet and was curious about Entombed in Glass, I agreed to read both. 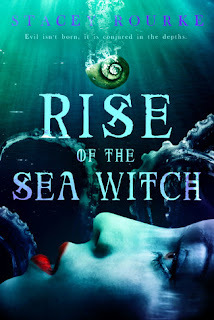 So here's my review of Rise of the Sea Witch. The book is basically a retelling of The Little Mermaid, but not quite. It's told from Ursula's POV, and it explains how she ended up the way she did. You see, Ursula's real name is Vanessa. Princess Vanessa, to be exact. Yep, she's royalty in Atlantica. Her brother is Triton, and her father is Poseidon. And when Poseidon is gone from the throne, Vanessa hopes she'll be the one to take it. It should be easy, after all. She's determined to rule Atlantica, while her brother Triton just wants to command play with manatees. Unfortunately for Vanessa, things don't go as planned. And that, dear readers, is what sets the scene for the rest of the story. Told from Ursula's perspective (she's telling us, the readers, the story), it's an intriguing read that had me flipping through the pages, curious to see how she ended up in the predicament that makes her the evil sea witch we all know and...well, maybe not love, but love to hate. I liked the story overall, but I had issues with the book. I'm not sure if the copy I received to read and review along with Entombed with Glass was an unedited ARC or something along those lines, but if it wasn't, then there are a lot of mistakes in the story. Misused/misspelled words, punctuation issues, stuff like that. I spent a lot of time highlighting the mistakes on my Kindle while reading the story, and that was a bit distracting and disappointing to me. I'm really hoping it was an unedited copy of the story, though. Regardless, I did enjoy the book for what it was. I love fairytale retellings, and The Little Mermaid is one I don't see very often. Plus, having the story from the villain's point of view made it even more unique. Overall, Rise of the Sea Witch is a good story, and I liked reading it. I give it 3.5 stars. 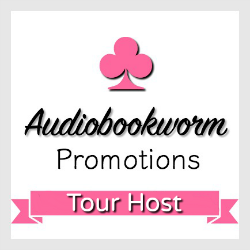 Thanks for being on the tour! 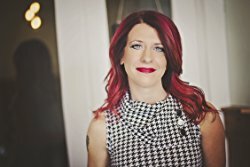 And great review this sounds unique and well written!